Audra Jennings: What does it take to grow kids with character? 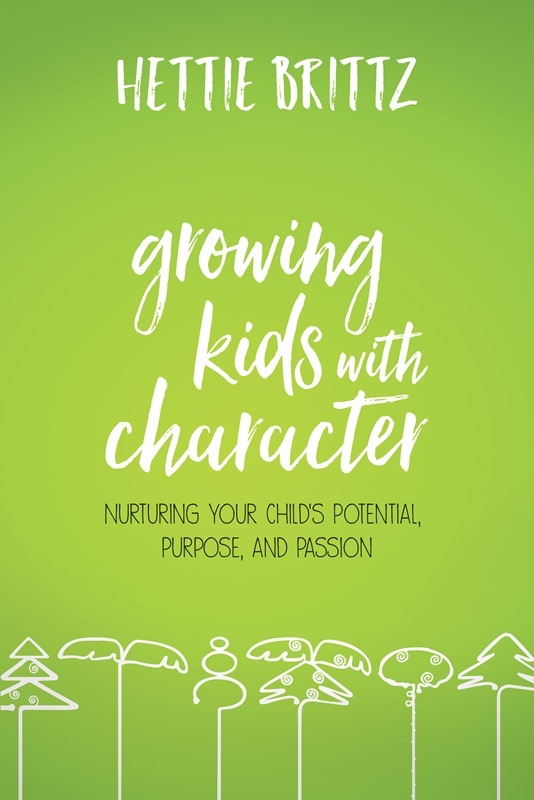 In Growing Kids with Character: Nurturing Your Child’s Potential, Purpose, and Passion (David C Cook), Hettie Brittz helps parents identify their child’s natural bent and how that affects their parenting journey. 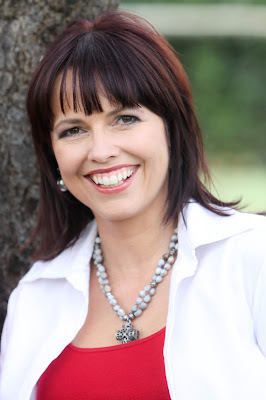 Hettie’s famous tree metaphors show ways to let kids excel at being who they naturally are. Q: You introduce your book by telling about your misadventures in growing a vegetable garden. How is raising children like growing a garden? I think the similarity starts with the expectation that one will make a certain investment and reap a predictable harvest, but gardeners and parents both may have experienced many factors beyond their control. Pests, the weather, and our own mistakes sometimes seem to sabotage the outcome. In a garden these are physical variables; in parenting they are often emotional or spiritual. The realization that there will be such hazards and risk factors bring us to our knees, as it does a gardener or a farmer, because we can’t escape the clear need for God’s help in this process. Our first question as parents is usually: What can I do with this child? Actually, the question should be: What can I become for this child? The answer is straightforward; I can invite the Great Gardener (God) to prune me even as I am pruning my saplings and to shape me while I am shaping my young ones so we might all bear fruit (John 15:2). Q: Growing Kids with Character helps parents identify their child’s natural temperaments and gives tailored insight on how to cultivate his or her personality and gifts accordingly. Can you tell us about the Tall Trees Profiles assessment that helps parents identify their child’s tree type? What are the four types of trees? The Tall Trees Kids Profile is based on the many fourfold personality theories found in literature, studies of personality, behavioral and learning styles, and observations of many children throughout the years. At the heart of the kids’ profile are four tree types: Palm Tree, Rose Bush, Pine Tree, and Boxwood Tree. Palm Trees are the spontaneous, social kids who crave our constant attention and hands-on involvement. Like palm trees in nature, they seem to be having nonstop fun in the sun. They need life to be colorful and filled with thrilling possibilities. Rose Bushes are born with a metaphoric sign on their foreheads: “I’m the boss … Can’t you read?” The first few years of parenting are characterized by a power struggle to be the boss, a struggle that can wear out parents. The Rose Bushes chase milestones, always trying to prove they’re bigger and stronger than we think. I chose a rose bush as their symbol because the flowers remind me of the flowers awarded to winners. Their thorns are a warning that if you step too close, you’d better be prepared for the painful truth and a challenge or two. Pine Trees balance out these extroverted tree types by being all about peace and harmony. Don’t pines even smell of peace and calmness? They are the kids we often overlook—content, eager to please, and quiet spectators rather than loud participants. Boxwood Trees are the fairness barometers. In nature, boxwoods are used to make chess pieces and tuning pegs for musical instruments. Boxwood Tree kids think ahead, as one should when playing chess, and see life as a set of black-and-white choices. Even the little ones will point out rules to their friends and will fine-tune their own behavior and that of others for their teachers or parents. In nature, boxwoods can be pruned into perfect shapes or square hedges; Boxwood kids are equally moldable. Most people are a combination of two. Temperament literally means “mixture” after all! A smaller percentage is close to one “pure” tree type, while the exceptions among us are a combination of three trees. I believe our children’s design fits their purpose. Therefore, a child with a calling that requires an adapted style that can fit many diverse requirements is usually equipped with a broader personality style. Those kids who are created for a specialized area often test as one dominant tree type. Q: Since the parents complete the profile for each of their children, is there a danger of them unconsciously answering the way they try to shape their child into reacting rather than how their child would naturally act or respond? Yes, unfortunately our research has shown that although moms generally know their kids well, they find it almost impossible to be objective. That is precisely why the Tall Trees Kids profile is set up in a way that parents can involve their older kids, family members, and even teachers in determining their child’s personality profile. Up to four people can participate, which guarantees a much more accurate assessment of the child’s needs. Q: How early in life does a child develop his or her temperament? Does temperament change with age? I firmly believe temperament to be present even before birth and to be there for a reason: to guide children toward the purposes and passions God destined for them. It should act like the needle in a compass pointing to each child’s “magnetic north,” the situations and causes where they’ll end up making their mark in life. Temperament, or a person’s soul DNA, however, is as invisible as a person’s blood type. It’s like the roots of a tree. By looking at the parts of the tree that stand above ground, we can deduct what the root system will look like. Similarly, we look at a child’s expressed personality as it shows in a variety of situations, and we deduce his or her temperament from these behaviors. Personality (and how a child exhibits it) changes constantly, yet there is a limit to how far a child can move beyond his or her true self. A happy-go-lucky Palm Tree child can become serious about the deadline of schoolwork but will likely never feel the gut-wrenching stress and sense of impending doom every Boxwood kid is familiar with when that deadline is missed by a few hours. Kids can overcome aspects of their temperament when coached, but their inherent nature, I believe, does not change. The further from that design they’re forced to function, the less energetic, passionate, and purpose driven they’ll become. Q: Putting labels on children is typically frowned upon, but you offer that labels aren’t necessarily a bad thing. How can labels be helpful? I truly don’t like labels. The Tall Trees terminology was a reaction to the labels I was given years ago. I wanted a way of talking about personality that would still acknowledge the possibility of change, growth, and metamorphosis. Trees are like that, aren’t they? No two of them are identical. They don’t look the same in all four seasons. Even in the same tree family—there are so many pine tree species and rose bush varieties. Boxwoods come in every imaginable shape, and palms can be tiny love palms that fit in a pot or towering palm trees such as the ones on the beaches of Miami. I don’t insult a tree when I use its name, and I don’t insult an individual when I use labels such as woman, teacher, ballet dancer, or soccer player, do I? The Tall Trees “labels” are merely ways of acknowledging a child’s uniqueness, and they act as care instructions. When I say a child is a Boxwood Tree, I’m also saying, “This is a child who needs ongoing affirmation, structure, and clear boundaries.” I’m using the label to help others love this child well, not to limit the child’s potential. If I said you were a diabetic and used that label, I’d be telling people how to care for you. If I call someone a single mom, the label helps me have grace with her when she can’t make it to all the activities her kids participate in. Using the tree type labels has the same motive. If I know a child’s tree type, I can make sure I have a fair expectation of him or her. Q: Parents often struggle to make sure their children feel as though they are being treated equally. However, you write about disciplining and communicating with your children based on their personalities. What happens when a child sees this as showing favoritism toward his or her sibling? Once a family starts a regular dialogue about personality differences, they create an understanding that what is fun for you is not necessarily fun for me. Communication also adapts to personality. One person prefers short and to-the-point commands, while another wants the opportunity to ask for more details. Being willing to discipline, spend quality time, and talk differently with each family member aligns with the way God journeys uniquely with each of His children. He places a calling on their lives and guides each onto a different path (1 Corinthians 7:17). Each of His children even receives tailor-made grace (Ephesians 4:7) and individualized rewards (1 Corinthians 3:8; Revelation 22:12). Emulating our Gardener in this way means giving up on the idea of raising superkids according to our vision for their lives and instead parenting our unique children according to their God-given designs. We are called to the challenge and adventure of identifying that design in each of our children and prayerfully pruning it into a God-glorifying thing of beauty.